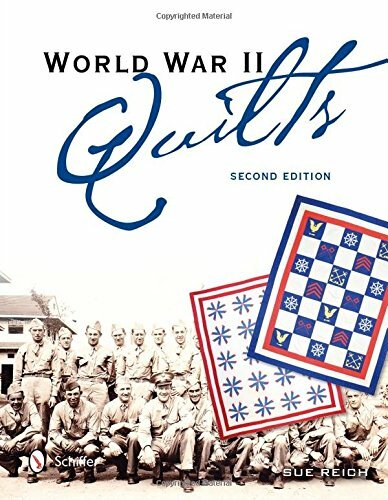 Many American women made warm and attractive quilts to honor and benefit USsoldiers during the period 1940-1945, either as outright gifts or asraffle items to raise money for the war effort. This book reflects extensive original research of newspaper and magazine articlesof the era, and authenticates thepatterns and designs available to quiltmakers, anchoring the quiltshistorically in time. Color photos and descriptive text identifymany colorful and patriotic quilts made for donation to the Red Cross and organizations such asBundles for Britain. When possible,original patterns and designs that inspired the quilts are included.The quilts can now be interpreted from factual and objective perspectives, enhancing their historic and emotional importance. If you have any questions about this product by Schiffer, contact us by completing and submitting the form below. If you are looking for a specif part number, please include it with your message.